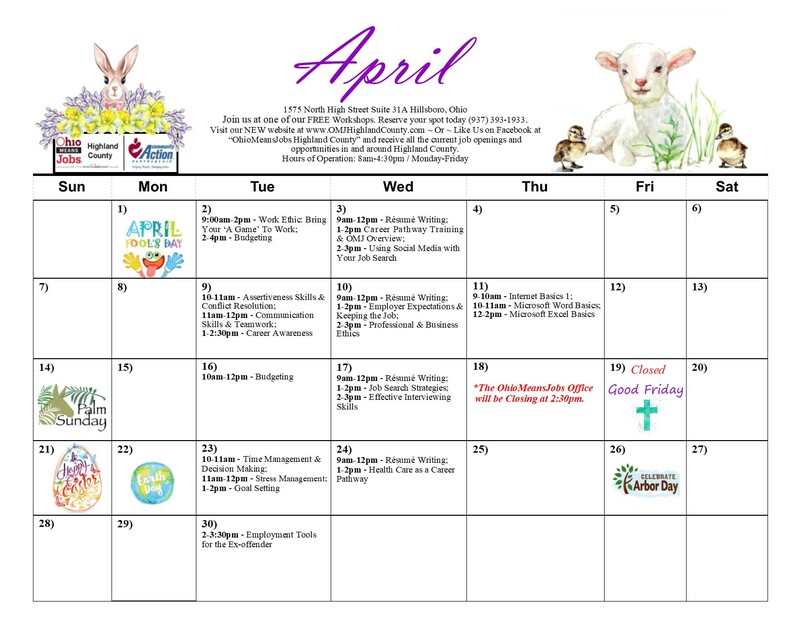 Highland County Community Action | OhioMeansJobs ~ April Workshop Calendar. All Workshops are “FREE” and are geared toward assisting individuals to become both Career and Workplace Ready. Give us a call and reserve your spot today – (937) 393-1933.